How much do uber ride cost ? What are Uber rates in your country or city ? 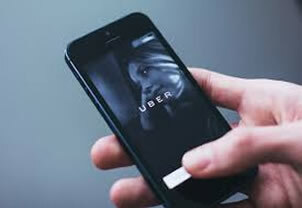 Uber is a mobile application that connects users directly with passenger cars with driver. The keystone of this taxi service on demand? The geolocation of our smartphones. Black beast of the traditional taxis, Uber disturbs because the Californian company does not follow the traditional administrative and commercial rules. All financial transactions are done online. When you arrive at your destination, Uber takes directly the price of the race on your card. You do not have to pay in cash, leave a tip or haggle the price. The journey is all the more pleasant because the absence of a relationship of money generates a greater confidence between the driver of the vehicle and you. Estimate your Uber fare online now. Instantly Calculate the Cost of an Uber Ride! Information site for users and transport professionals: Uber, car shuttle, car service with driver and limousine or even motorbike. This page offers a fare simulator to find out how much an Uber car ride costs in your location.